A miniature doll that is about 3 inches tall. Squirt is Specks friend. He is completely hand made from head to toe. Squirt is an easy pattern that you will want to make again and again. His body is a little different then my other mini’s, his arms and legs are string jointed and can be repositioned at any time. 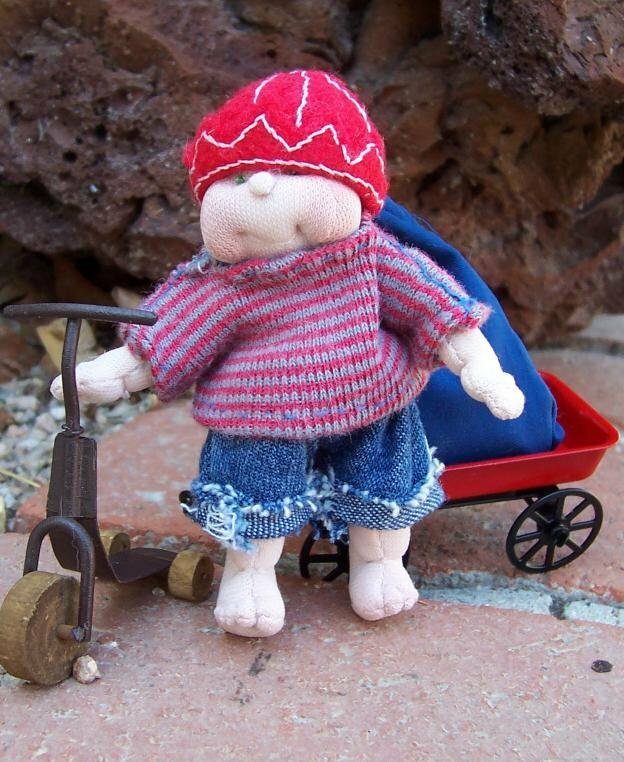 This pattern is complete with underwear, beanie, shirt, shorts and duffle bag instructions.